Every country, every government, every population is a participant in a global trial and error. Each one faces different circumstances and, therefore, approaches healthcare differently. But, as world health leaders see it, everyone can learn from others’ struggles and successes to improve and simplify their respective strategies. Health information technology is at the core. A video on the WHO’s website, “The many paths to universal health coverage,” documents the various efforts in Thailand, Rwanda, Oman, China, Mexico, and Turkey to achieve this lofty goal. As the video notes, “Their experience can provide lessons to countries just beginning the journey” toward UHC. This means, ideally, more time and money spent repeating past successes and avoiding past errors – and also innovating. In December 2012, the UN passed a resolution on UHC that urges member states to develop health systems capable of providing high-quality care while avoiding direct payments at the point of delivery. Healthcare IT plays a central role in modern healthcare strategies. As a relatively new component of healthcare, there is still much to learn about how best to integrate digital health systems. Keeping an eye out for successes and innovations — learning opportunities around the world — should be a priority for all countries, world health leaders say. If UHC means targeting everyone with high-quality, affordable services, healthcare systems need to be able to record data on all of its patients, as in a national electronic health record that can allow physicians and patients to share data. Practitioners need to monitor quality of care. The health needs of the population need to be defined and monitored. 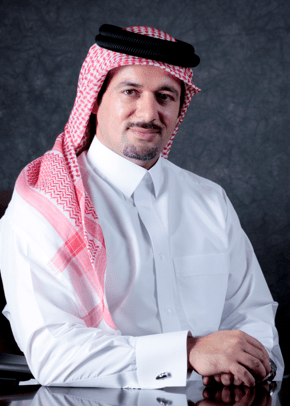 The five main challenges for developing an IT infrastructure, says Al-Shorbaji, are issues of standardization and interoperability, lack of national planning, lack of solid evidence, sustainability (as insufficient funding has limited the success of many eHealth projects), and lack of human resources. ICT, therefore, is a central component to any UHC strategy, as there needs to be a system in place that can collect and share data in the healthcare system. Finding the best route to a meaningful HIT system, though, is still being worked out around the world. Here are glimpses at several healthcare IT projects around the world. Some have already proved successful. Others are in the works, but are exciting prospects for the use of information technology in healthcare. The officials we talked with say the projects have the potential to contribute to the world’s growing body of knowledge on how the world can best use health IT to provide more comprehensive, more accessible healthcare. Mobile technology’s feasibility as a health solution is no longer in question. “Countries are really looking at mHealth as a critical strategy towards improving the health and wellbeing of women and children in particular, but also in dealing with diseases like HIV and AIDS and malaria, Patricia Mechael asserted in an Oct. 2 interview with Healthcare IT News. 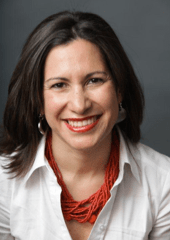 Mechael is the director of the mHealth Alliance, an organization that promotes the global integration of mobile technology into health systems, programs, and services. Last September the Alliance announced the third round of its grant program for mHealth projects across the world. In association with NORAD and the Every Woman, Every Child Innovation Working Group, the Alliance provided catalytic grants to various mHealth projects to help them scale up from pilot stage. Once involved in the program, the grantees form classes that network with each other, sharing their own best practices. This knowledge-sharing proves fruitful not just for the grantees, but for mHealth in general, since “out of [that networking], in collaboration with the World Health Organization, we capture those learnings and then develop tools and frameworks that can then be used by others who are looking to design and implement mHealth for maternal and child health programs,” Mechael said. The grantees had to meet the following criteria, “ingredients for success in mHealth,” as Mechael described them: “They have to have done some formative research that shows positive health outcomes in the use of their technology, they have to be engaged in public-private partnership, and they have to provide a letter of support, particularly from the public side to show there’s government buy-in.” This final requirement is especially important as a project’s disconnection from the public sector inhibits its sustainability and potential for scale. Herein lies the project’s future direction. “We’re spending a lot more time in the countries conducting capacity assessments with the grantees and then working to ensure linkages with other grantees and the broader ecosystem at the country level.” The Alliance now aims to bridge the gap between organizations working with mHealth and local governments struggling to implement mHealth solutions. By convening these organizations and stakeholders, the Alliance hopes to facilitate the creation of policy frameworks to ensure environments for scaling mHealth projects in their respective countries. When asked which projects had been particularly successful, Mechael brought up cStock, the John Snow, Inc. program in Malawi that monitors health products inventory and reports stock-outs, and a UNICEF project in Uganda. The latter project is exciting, said Mechael, because it links two platforms that are already scaled. “What we’re seeing now in the mHealth evolution is greater integration between different technology approaches and systems so that you have broader reach and broader impact,” she said. The UNICEF project links a citizen reporting platform, U-report, to health service delivery data, thereby allowing citizens to hold the health system more accountable. U-report has already allowed citizens to successfully lobby the Ugandan parliament to push through health funding for immunizations. Back in 2009, the Australian government began constructing the National Broadband Network, a project that aims to give all Australians access to high-speed broadband and telephone services. The project stands to provide the IT infrastructure that will enable the Australian Government to achieve its goal of positioning Australia as a leading digital economy by 2020, according to the Australian Department of Health website. The NBN’s ongoing development has exciting implications for healthcare IT. On July 1, 2012, the government launched its personally controlled electronic health record system. A PCEHR allows patients to detail their own health information on a secure, online platform. “To date over 900,000 consumers have registered for an eHealth record. It is an opt-in system and consumers control which providers have access to their eHealth record,” said a spokesperson from the Australian Government Department of Health in a statement released to Healthcare IT News. The PCEHR Act established the circumstances in which patient information can be accessed outside a patient’s access controls, for example, in an emergency. The Department of Health spokesperson noted, “PCEHR data is stored in a secure data center in Australia, in line with the Australian Government Protective Security Policy Framework. As the number of Australian citizens and organizations — including healthcare professionals and clinics — with access to high-speed broadband increases, patients will be able to communicate more effectively with the providers they need. For Australians living in rural and remote areas, far from high-quality clinical care found in urban centers, the NBN Enabled Telehealth Pilots Program could potentially alleviate the difficulty citizens face in accessing healthcare. The program, focusing on care for the aged, palliative care and cancer care, will fund a group of telehealth projects. Developing and testing these services over the 2012-2013 and 2013-2014 financial years, program officials aim to demonstrate how, using the NBN infrastructure, health related transport needs can be reduced, and consumers can collaborate and communicate with their caregivers and health service providers to improve quality of care and health outcomes. Telehealth services are scalable and able to provide an increased volume of care without a corresponding increased cost, they say, and use of a telehealth infrastructure may increase healthcare access and reduce social isolation. There is movement in Qatar toward improving healthcare. Qatar’s National Vision for 2030 sets two goals for the country’s development by that year: sustaining its own development and providing a high standard of living for its entire population. “Sidra, as part of Qatar Foundation, aims to help deliver these goals through its vision of providing high quality patient care and unparalleled medical education, and becoming a leading center for biomedical research,” said Khalid Al Mohannadi, director of communications at Sidra, in a statement released to Healthcare IT News. In the not too distant future, Sidra Medical and Research Center, a technologically advanced academic medical center, will be fully operational and open to patients. Khalid Al Mohannadi“Sidra’s primary focus will be on specialty care for pregnant women and tertiary care for children,” said Mohannadi. Sidra will serve as a teaching hospital in partnership with Cornell University’s Weill Cornell Medical College in Qatar and it will conduct biomedical research in development and preventative medicine, pregnancy, health, and fertility, and women’s health. Mohannadi gave the end of 2013 as a target for fully equipping the center so that it can enter its commissioning and testing phase. 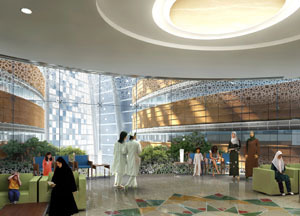 Arabianbusiness.com reports that Sidra will be open to patients by 2015. IT will feature prominently at Sidra. According to Mohannadi, Sidra will meet HIMSS Analytics Stage 6 at opening and Stage 7 soon thereafter. Denmark is widely regarded as offering some of the best healthcare in the world in terms of both patient satisfaction and affordability. The entire population receives coverage from the country’s publicly funded system. IT has factored heavily into this success. To better understand why the Danish healthcare system works so well, it is important to look at the national eHealth portal, sundhed.dk (sundhed is Danish for “health”). According to the portal’s website, representatives from numerous countries have consulted sundhed.dk to learn how they can realize similar health IT success. 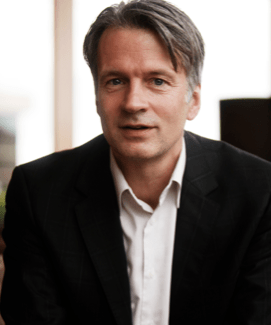 Sundhed.dk, which launched in 2003, is a full-scale, nationwide solution, bypassing any issues of incompatibility among a multitude of local solutions. The portal serves as a communication platform between GPs and patients. Clinicians can access patient information once it has been uploaded to the EHR and share information with other providers. Patients can access their EHR securely and research available providers to determine the ones most suited to their particular care. The platform contains official health information approved by specialists from a variety of services. Sundhed.dk also houses online patient communities, an example of healthcare successfully establishing social media to bring together similarly affected patients to share their experiences and cope together. While only portal registrants can publish to these communities, everyone can access them. Sundhed.dk is a service to watch as healthcare in Denmark becomes increasingly digital. HUB (healthunbound.org), a network and knowledge resource center for members of the worldwide mHealth community, powered by the mHealth Alliance. The WHO’s Global Observatory for eHealth (http://www.who.int/goe/en/) has a directory of eHealth policies for its individual member states.